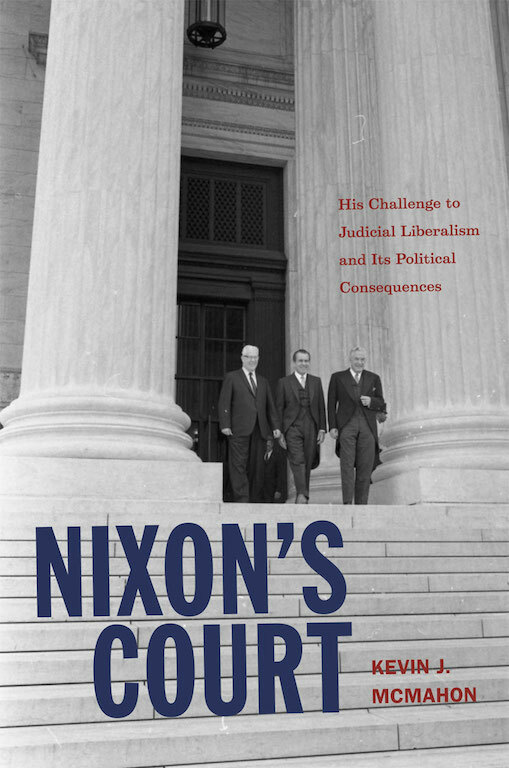 With the recent passing of Associate Justice Antonin Scalia and the hotly contested debate over the future of the Supreme Court, we look at President Nixon’s judicial philosophy and his actions to shape the nation’s highest court. Nixon appointed four justices including the influential William Rehnquist, who served for more than 30 years on the bench. To discuss this topic with the Nixon Foundation is Kevin McMahon, the John R. Reitemeyer Professor of Political Science at Trinity College in Hartford, Connecticut. His books include “Reconsidering Roosevelt on Race” and his most recent “Nixon’s Court: His Challenge to Judicial Liberalism and Its Political Consequences.” For this book he was awarded the Erwin N. Griswold Book Prize, and was given the opportunity to deliver a lecture at the Supreme Court of the United States.